Lemon quartz is a sunny stone. Wear it to boost self-confidence, optimism, and energy. It is especially useful for confidence and clarity in creativity and communication. According to folklore, it dispels evil thoughts, so if you are feeling negative, this is useful for boosting good vibes. Also, it’s a lucky stone for material success. Like citrine, lemon quartz is linked with the third chakra – or the (solar plexus) naval chakra. The third chakra is connected to a sense of personal identity, power, material abundance, and willpower. The questions around the third chakra are: Who are you? What is your purpose? 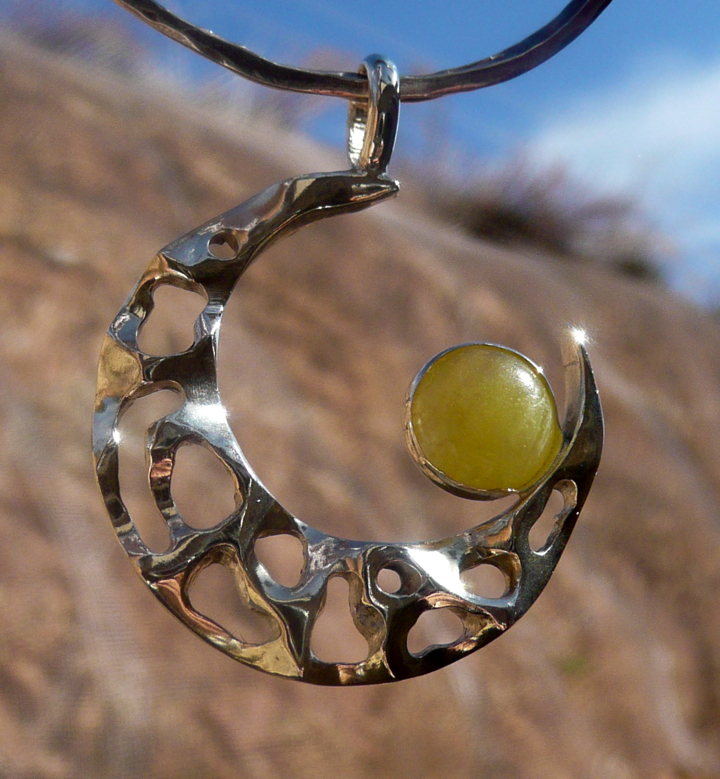 I like the combination of the sun and the moon in this pendant.